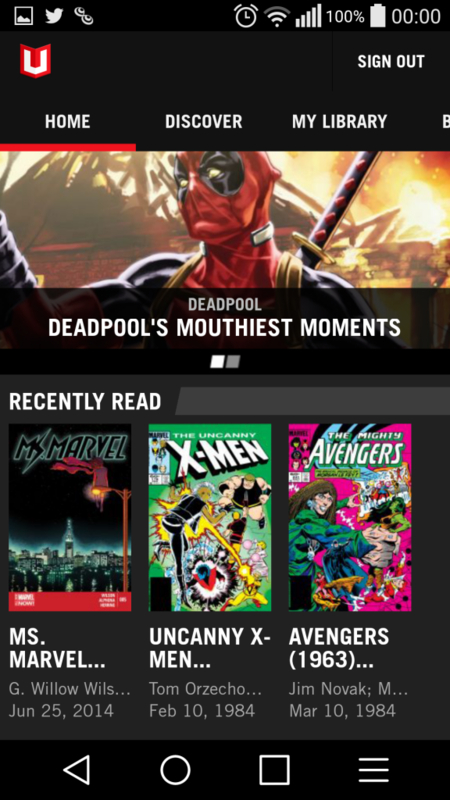 Marvel Unlimited is Marvel Comics’ subscription based comic library which gives users a great amount of back issues for $9.99 per month. I’d been very hesitant to subscribe to the service, but after listening to Movie Trailer Reviews’ Character Corner—a podcast that takes a comic book character and discuss them—I decided to check it out. The selection here is kind of overwhelming with whole series being featured and particular events and story arcs being highlighted in case you’d like to read that way. The other thing about Marvel Unlimited is that it offers a character spotlight for you to read up on if you’re not all that familiar with them or if you simply need a crash course. The app itself is pretty straight forward. There’s four main sections—the the Account section. The “Home” tab tells you what new back issues were released that week and what you previously read. “Discover” is the character highlight section, basically. “My Library” houses comics you added to your library for quick reading in addition to any comics you have saved for offline reading. Then there’s “Browse” which is the meat and potatoes section of the app. It’s where all the comics are by series, creator, publication date, event, or characters. If you want to read the original Secret Wars, you can. If you want to go back to the 90s and enjoy Age of Apocalypse, it’s possible. 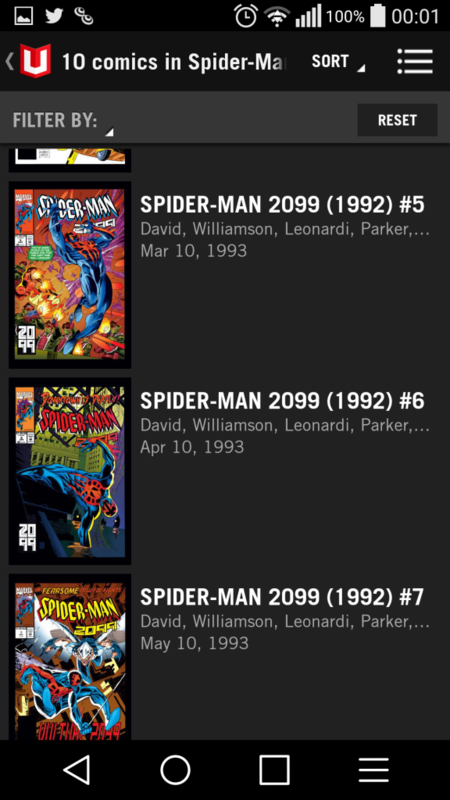 If you’re like me and love Spider-Man 2099 and the 2099 line of comics, you can check those out. 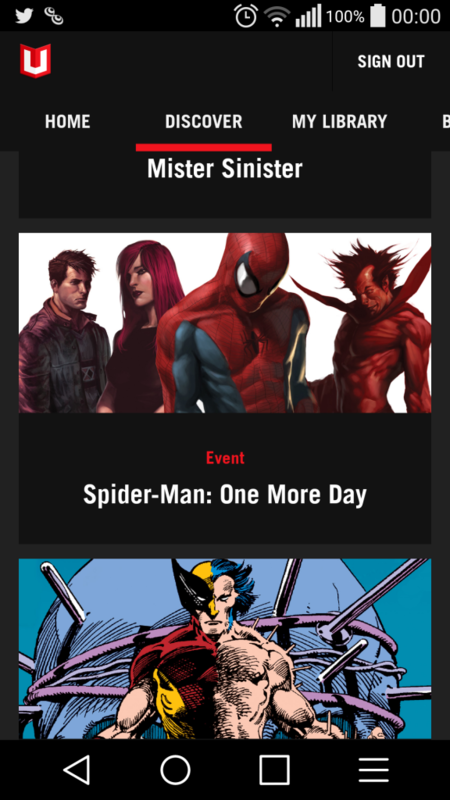 Marvel Unlimited could use an option for a white background and there are some missing issues of comics, but the majority of the big event/franchise stuff is there. The comic viewer itself is decent, but this definitely an app that is better to use on a larger smartphone or a tablet. The negatives actually take a backseat to the large selection available.